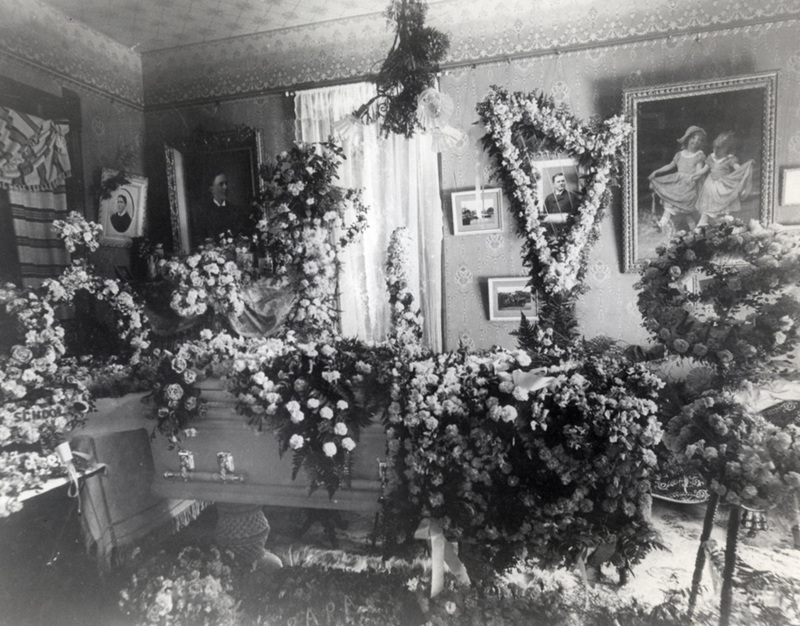 Andrew Brixen's casket and flowers. Andy died at age 41 in 1900. His brother Martin died ten years before, at age 27. The large picture hanging in the left corner is Andy's brother, Martin.